Snowbirds head south in the winter, southerners return the favor in the summer. Try these destinations I recently visited in Nova Scotia, New Brunswick and Maine. Get away from it all. Liscombe Lodge Resort & Conference Center offers cabins or rooms, all with great views, a dining room that serves delicious food with views a bird watcher will love, heated pool, marina and a friendly staff. A two-hour drive from Halifax will put you amid trails galore. En route you will pass folk artist Barry Colpitts' eye-catching house and workshops. Nearby, Sherbrooke Village recreates an 19th century river town. Have it all. 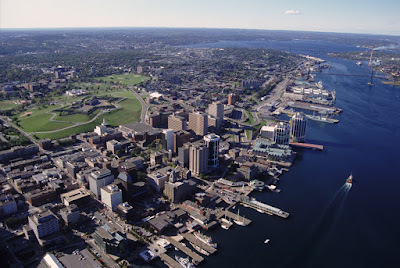 Halifax offers dramatic history, a bustling downtown, memorable food colorful wharf, scenic trails and outdoor recreation. 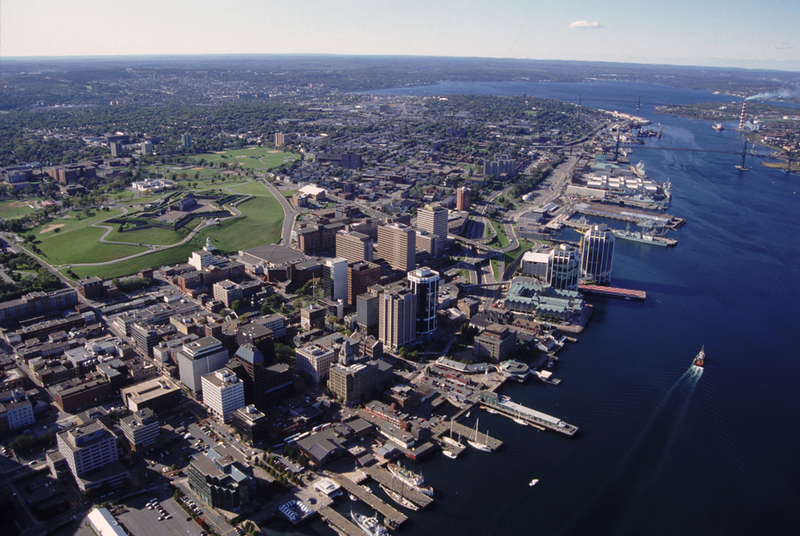 Don't miss the Maritime Museum or the Museum of Immigration at Pier 21 a short walk away along the waterfront. Westin has nicely renovated the historic Nova Scotian Hotel which is well located for exploring the city. Lobster and scallop boats at Digby Harbor. Scallop capital of the world. You will find lobster, too, from the fishing fleet at Digby. The town is quaint, there's a fun walking tour with "Admiral Digby" and it is surrounded by a plethora of little towns, coves, bays and places to visit. To the north, Annapolis Royal is a charming town with a Historic Garden for strolling, excellent restaurants and a ghost tour that many enjoy. To the south, the Acadian Center, Rendez-vous de la Baie, and the tallest wooden church in North America. All are on the famous Bay of Fundy complex. Digby Pines Golf Resort and Spa, a haven for visitors since 1929, is an elegantly comfortable home away from home from which to explore it all. ... where we made a beeline to The Algonquin Resort in St. Andrews-by-the-Sea. Opened in 1889, this commandingTudor-style hostelry added a golf course in 1894, and is an ideal spot from which to explore the wonderfully named Passamaquoddy Bay area. You could spend a day roaming beautiful and welcoming Kingsbrae Gardens, and don't miss waiting for the tide to recede for the drive to Minister's Island or sign on for a whale-watching excursion. Lucky Catch's Capt. Tom measures a lobster to see if it is a keeper. It wasn't. Time and rain limited exposure to Portland but it has become a foodie magnet with 300-plus restaurants, most chef-owned and/or independent, for its population of 66,000. The Public Market is a co-op of dealers in delectibles, Dean's Sweets (try a Needham) is a chocolate lovers paradise, Gritty McDuff's is the city's first brew pub, handsomely packaged oils and balsamics attract cooks to Vervacious and Vena's Fizz House is the hot headquarters for flavored bitters and bartending secrets. A highlight was a trip on the Lucky Catch lobster boat with its hands-on lesson in catching lobsters. Follow that with a stop at Fort Williams Park and the Bite Into Maine food truck, a locals' pick for best lobster roll. Nubble Lighthouse at Cape Neddick. Ogunquit is the quintessential Maine coastal town and nearby Perkins Cove will remind you of the fictional Cabot's Cove of "Murder She Wrote." Treat yourself to a lobster roll crawl and definitely include stops at Lobster Shack, the oldest restaurant in Perkins Cove; Jake's Seafood (the full-bellied clams are great here, too) in Wells, and Shore Road Market & Restaurant,www.shoreroadrestaurant.net. Walk it off with a jaunt to Nubble Lighthouse at Cape Neddick. If you can snag a ticket, by all means catch a performance at the famous Ogunquit Playhouse. Perfect headquarters for it all, although you won't want to leave it, is the venerable Cliff House Resort & Spa overlooking the rocky waves and crashing waves. Celebrate the crustacean July 29 to August 2, 2015, in the towns of Rockland and Camden, located in Penobscot Bay. This year's festival expects to serve up 20,000 lbs of Maine Lobster and 1,700 lbs of Cabot butter. 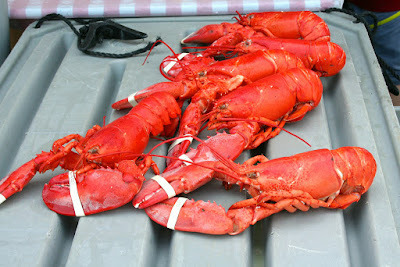 Special entertainment includes a Lobster Parade on Saturday, August 1 complete with lobster floats and a marching band. www.mainelobsterfestival.com . Book a three- or four-night all inclusive trip through spectacular Patagonian waters in December 2015 with Australis by Oct. 31, 2015 and one child (age 17 or under) per adult comes along for free. Rates per adult for the three-day cruise are $1,895; $2,298 for the four-day. Book a weekend getaway for two at the historic Jekyll Island Club Hotel, Jekyll Island, GA, Aug. 2-Sept. 1, 2015, and accommodations plus a five-course dinner for two with a bottle of signature wine are $250 a night. Dolphins frolic in Jacksonville's St. Johns River. Like to share your vacation photos with friends? Bask in a a bit of green-tinged envy? Have we got a contest for you. Five easy steps does it. Create it, Post it and Win it! 1) Go to www.VisitJacksonville.com and click on the contest logo or go to www.visitjacksonville.com/vacations-should-be-shared. 2) Choose your postcard theme: Beachy, Artistic or Ticket. 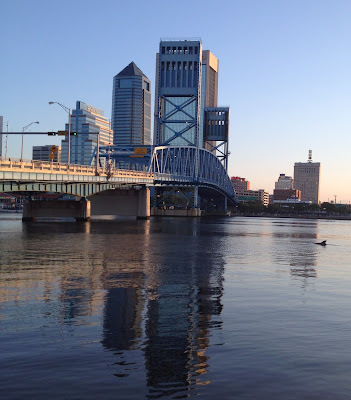 3) Customized your postcard with Visit Jacksonville’s memory-worthy #OnlyInJax images. 4) Add a message to your postcard. Tell us why you would love to win a vacation to Jacksonville. 5) Then share your postcard on social media, ask your friends to vote and start packing your bags! The “Vacations Should Be Shared” contest will run from July 22 until August 23 and winners will be announced August 25. All the postcards generated during the contest will be available for public voting on Visit Jacksonville’s website. 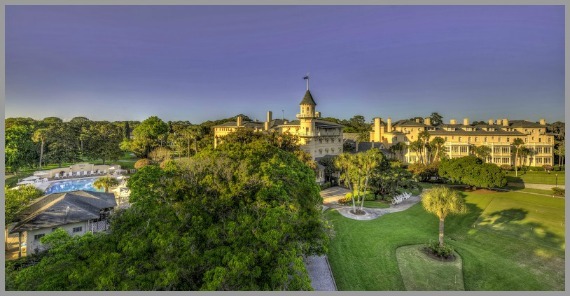 The postcard with the most votes will be the grand prize winner of a vacation for two to Jacksonville. A second and third place postcard will also be selected for prizes. For more on the prizes and the rules of the “Vacations Should Be Shared” postcard contest go to www.visitjacksonville.com/vacations-should-be-shared.